Many overloaded business owners and busy individuals have a need to resolve issues that require specialized expertise. This is when they go looking for a professional consultant who can provide the knowledge and experience they lack, for as little or as long as they need the help. Starting an independent consulting practice is one of the best ways to turn your depth of knowledge and years of experience into a business. A consultant is an expert who advises others in a specific field or to fix specific problems. In an effort to improve results in their lives or businesses, people bring in one or more consultants to assess issues, provide solutions, and help to implement necessary changes. Consulting differs from coaching, which is another way to help others with your expertise. Consulting is usually focused on business or groups as a client, although individuals sometimes seek consultants. Consultants assess an issue and prepare a solution with a focus on processes. In most cases, after an explanation and assistance in implementing the solution, the consultant’s work is done. Coaching, on the other hand, is more often done one-on-one, focusing on building up a client’s personal strengths. Similar to counseling, a coach is usually involved regularly (i.e. weekly) over a period of time until the client has met their goals. Consultants exist in just about every industry. While income varies depending on the industry and how the consulting business is set up, PayScale reports that the median income of business consultants is $68,982 with a range from $44,473 to​​​ $109,488. While you can turn any type of knowledge into a consulting business, here a few of the best industries to consider now. When the economy is down, the need for career consulting grows. But even in good economies, many people, from recent college grads to baby boomers looking for a new retirement career can benefit from a career specialist. 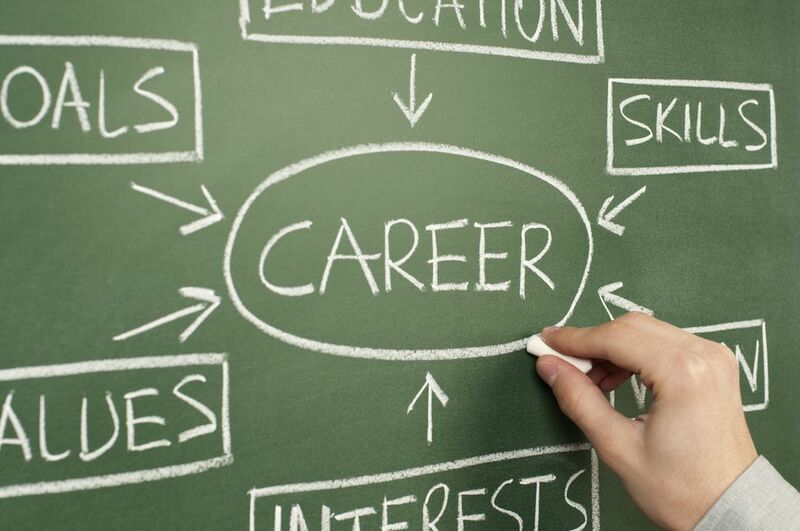 A career consultant does many things including assess the clients’ needs, prepare resumes, cover letters and other career-related documents, coach interviewing skills, assist in job search, recommend training and more. The average base pay for a career consultant is $40,000 according to Glassdoor; however, this is for a job, as opposed to being a self-employed consultant. Often, you can earn more on your own, than in a job. Businesses are all about the bottom line, so they want employees who are efficient and work together toward the good of the company. But many businesses have policies and people that get in the way of productivity. A leadership and team building consultant works with management to give them skills that inspire those that work under them, including problem-solving and decision-making skills, building trust and rapport, creating a supportive work environment, and more. Glassdoor reports that leadership consultants earn an average yearly income of $74,243. Marketing is the key to business success. But many businesses, especially home based and small businesses, often don’t have the background in sales and marketing, or understanding of the psychology of getting people to pay attention and buy. A marketing consultant assesses the current marketing plan and strategies of a business, and then makes recommendations on how to increase results with more effective messages and/or methods. Income as a marketing consultant can vary depending on the businesses you work with. Payscale reports that the average starting income for marketing consultants is $58,128. If time is money, then inefficient use of time means wasting money. Knowing this, many businesses hire consultants to assess how the business is running in an effort to find ways to improve effectiveness and efficiency. Some things they look at include available resources and how well they're utilized, how the business is structured, and how to best maximize the skills and experience of the people involved in the organization. The average base salary of an organizational consultant is $88,763. Still don’t see something you’re an expert at that you can turn into a consulting practice? The truth is, there are many different types of consulting practices, and odds are that someone out there needs your knowledge or passion, which can lead to a consulting business. Make a list of what you are good at. Are you a social worker with marriage or parenting training? Consider starting a relationship or parenting consulting business. Can you buy a week’s worth of groceries for a few bucks? Start a coupon or frugal living consulting practice. Once you know your expertise and how you can use it to help others, you’ll want to do market research to determine if there are people who are willing to pay you for your expertise. Along with consulting, there are other ways to turn your expertise into profits, including coaching, blogging, information products such as ebooks, written articles, published videos, speaking, and more. Love Wine and Want to Start a Home Business?